Registration will only be open from Mar 20, 2019 (at 1:00 AM) to Apr 15, 2019 (at 4:00 PM). It's now 7:16 PM on Apr 19, 2019. 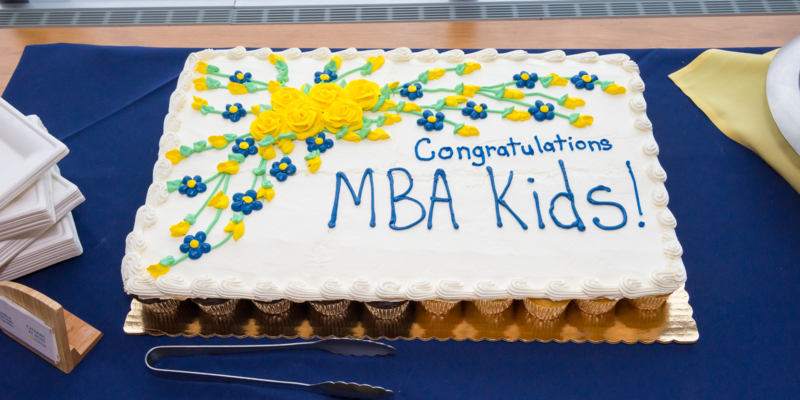 We'd like to invite you to join us for a fun celebration for all children of MBA students that are graduating this year! There will be a light brunch, Dean DeRue will hand out certificates and shake hands with each of our Little Ross Graduates, a professional photographer will be on-hand taking pictures, and we'll have fun activities for the kids. MBA students, partners, family members, or any other supporters are more than welcome to join in on the festivities! We just ask that you please RSVP for each adult and child who will be attending by Tuesday, April 9th at 6pm. Keep in mind that this event is FREE for ALL Ross Students and Partners. However, there is a $8 fee for children whose parents are not paid members of Partners Club. This fee will cover the graduation cap, t-shirt, and goodie bag. Lastly, a slideshow will be shown to highlight your family's time here at Ross. We would love to feature each Little Ross Grad in it, so please attach two pictures that you would like in the slideshow when you RSVP. If you have trouble attaching the photos, please send them to bscowee13@gmail.com or brynnly.bagley@gmail.com. Stroller parking and a feeding room will be provided. If you have questions about the event or need help registering, please contact Brittany Grogan at bscowee13@gmail.com or PCAR at partnersclubatross@gmail.com. We look forward to seeing you there! Go Blue! PLEASE NOTE: In order to ensure that every child gets their shirts REGISTRATION CLOSES on Tuesday, April 9th. T-SHIRT SIZING: We are ordering t-shirts in infant (6M-24M), toddler (2T-4T), and youth (XS-XL) sizes. After you register and click "get tickets" there is a questionnaire where you will be asked what size t-shirts you would like as well as a few additional questions.